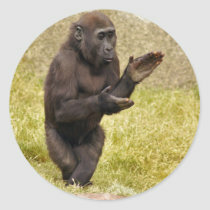 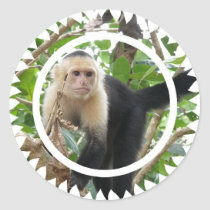 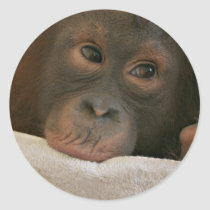 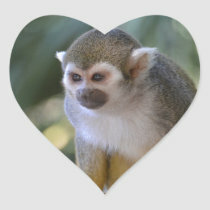 Chimp clapping his hands in a grassy area sticker. 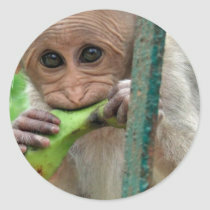 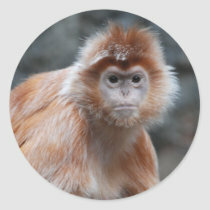 Adorable red langur monkey with a cute face. 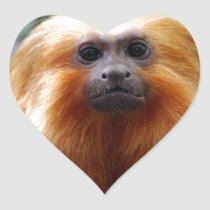 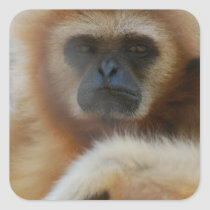 Blonde gibbon monkey with a sad face.